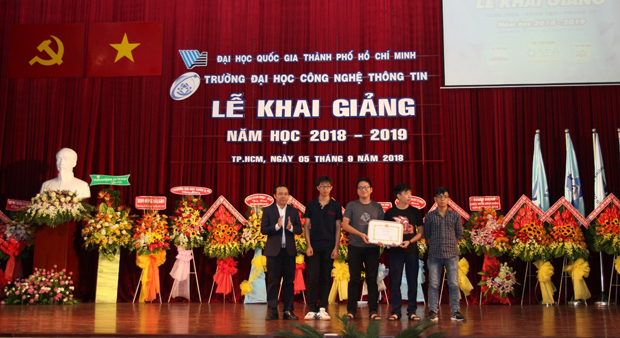 September 05th – UIT’s opening ceremony of the 2018-2019 academic year took place at the VNUHCM’s Headquarter. Attendees on the VNUHCM’s side was Professor Dr. Vu Hai Quan, Deputy Director, leaders of Offices, Universities, Centers, Fund Centers, Institutes. 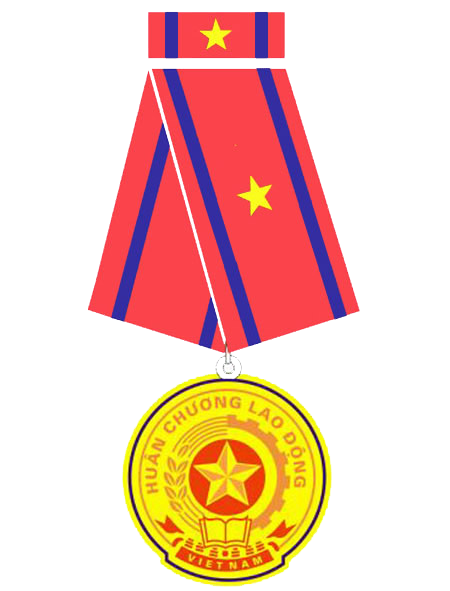 Especially, there were representatives from a Ho Chi Minh City’s Military Commander Ministry, PA83 Office of the Ho Chi Minh City’s Police Department. Last but not least, there were representatives from Universities, IT Enterprises, and more than 1,400 freshmen of the class 2018- 2019. 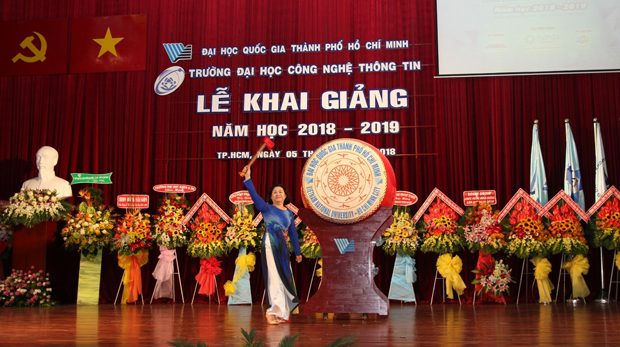 At the start of a new academic year, Professor Dr. Nguyen Hoang Tu Anh said she felt very proud of the freshmen from 50 provinces all around the country. 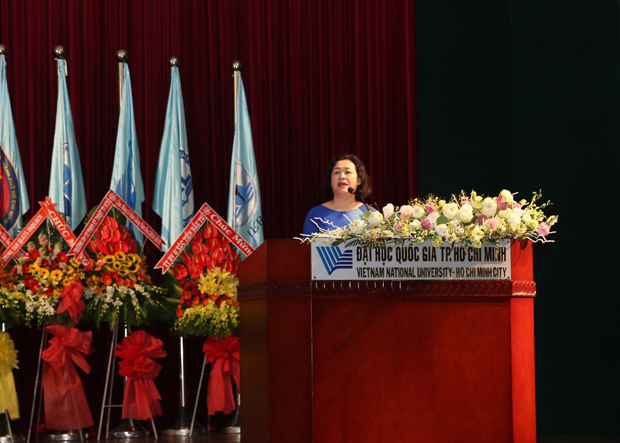 Professor Dr. Nguyen Hoang Tu Anh wished the freshmen continued to strive for their dreams and success during their 4-year study at UIT. 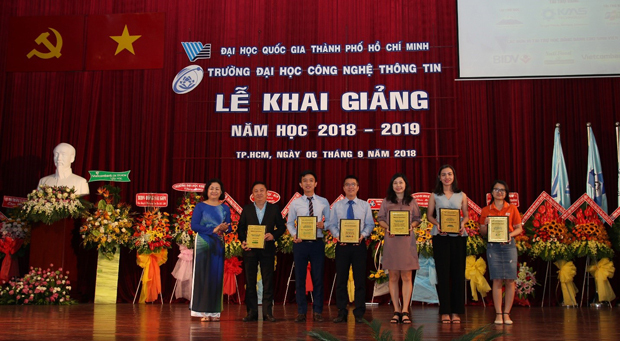 Professor Dr. Nguyen Hoang Tu Anh was assertive that UIT would carry on with its Strategic Plan 2016 – 2020, provide on-demand education associated with the 4.0 Revolution in the academic year 2018-2019. The Plan focused on programs in multimedia and IT in economics; launching dual, cross-border transfer, Master degrees; investing human resources in research groups; building wireless, IoT, Blockchain, AI and application laboratories. 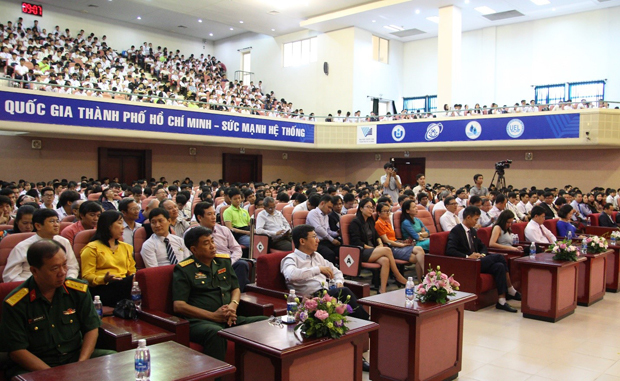 Professor Dr. Nguyen Hoang Tu Anh expressed her trust that the whole UIT would engage in boosting UIT's reputation, executing UIT and VNUHCM’s Strategic Plans according to educational philosophy statement “Comprehensive, Creative, Dedicated”. At the Ceremony, Professor Dr. 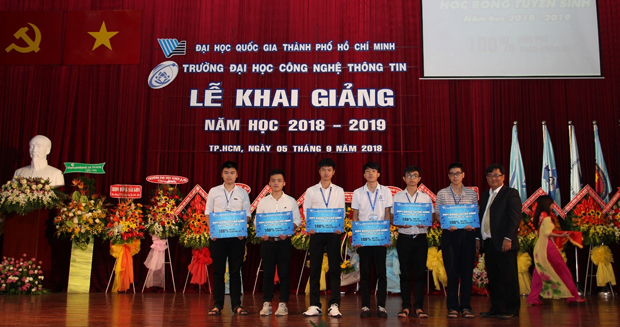 Vu Hai Quan handed certificates of award to teams of student who had won prizes in the Student with Information Security Competition. 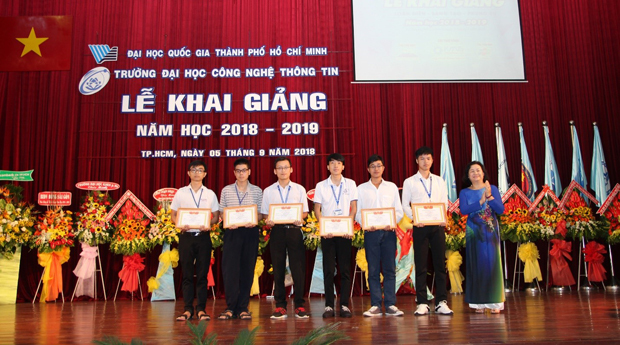 Dr. Nguyen Tan Tran Minh Khang handed out scholarships to fund freshmen who are ranked the outstanding applicants in the national examination. On behalf of 1.400 freshmen of the course 2018, a freshmen gave a speech to make a promise of studying well.